Today we have Christy the wonder assistant-slash-editor to give you her take on one of the first books she edited for me! Ella has a special place in many of my readers’ hearts, and Christy is no exception. I did the editing for None So Blind, so for that reason alone, it holds a special place in my heart. For me, seeing the cover again is kind of like seeing a long lost friend. 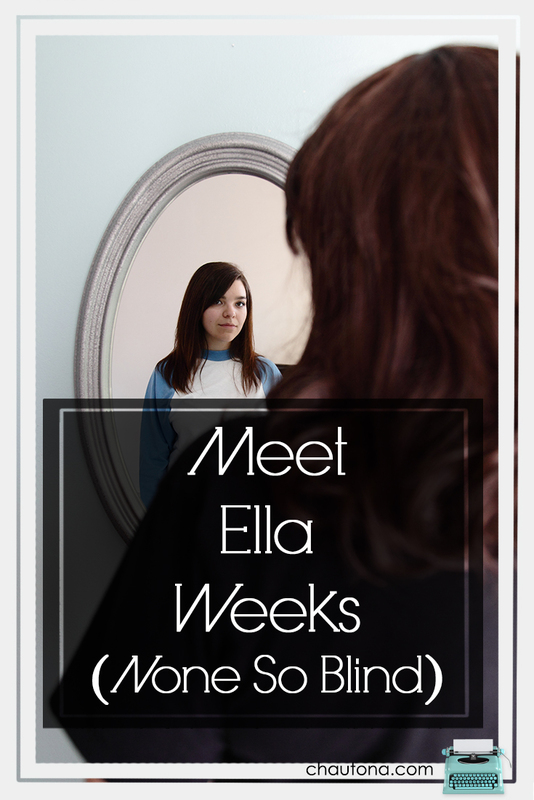 But even beyond all of that, None So Blind, or “Ella” as we lovingly called it while we were working on it, was one of those stories that grabbed a hold of me as I read it and didn’t let go for a long time after. It’s not JUST a fictional story that’s completely lighthearted and feel-good. It has those elements, but interspersed in the story are some very real and challenging themes that women struggle with. As you read None So Blind, I encourage you to take a hard look at yourself and ask the Lord to show you what you might learn from this thought-provoking novel. You know, my .02 on the topic is that there’s more to Christian fiction than just a clean read or a deep probe into our spiritual lives. It’s a combination of both–sometimes in the same book. But as mot of you know, I abhor the preachiness that tends to creep into deeper Christian fiction. A balance is always nice, and this book was one of the first ones where I really felt like I achieved it. 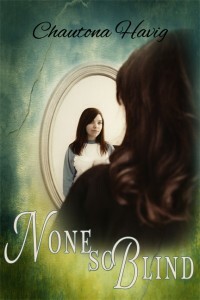 In fact, before I wrote Not a Word, this book was my favorite!